The DeShong Homestead started a log cabin in 1869 with a kitchen sitting room and 3 bedrooms. An addition in 1892 added another kitchen and two bedrooms. In 1945 additional rooms, living room and two bedrooms were added. A 1 and a 1/2 bathrooms came later. A total of four)families have called this place HOME. The farm contains 13 buildings, a large barn and several out buildings where they housed cattle and horses for farming. 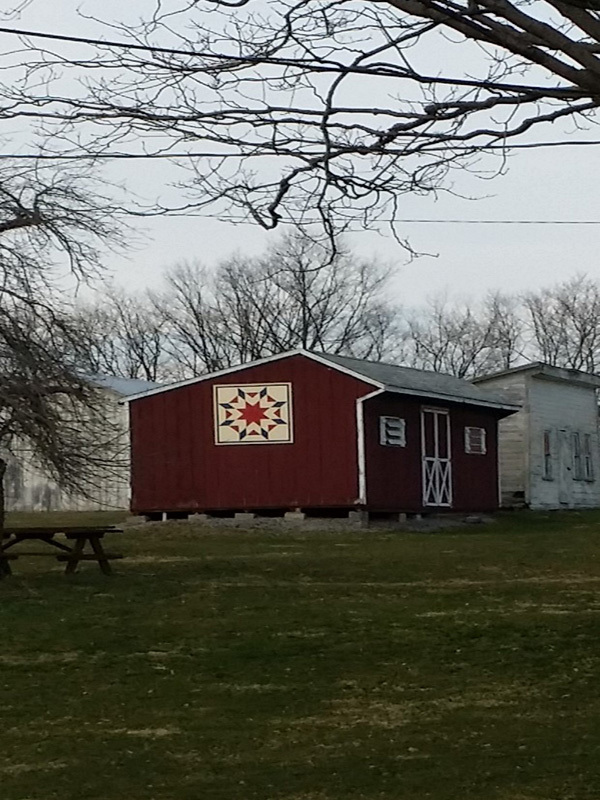 Our little red barn upon which the Barn Quilt is placed is used for carpentry work. The farm has produced teachers, Navy and Army Government workers, Turnpike employees, etc.